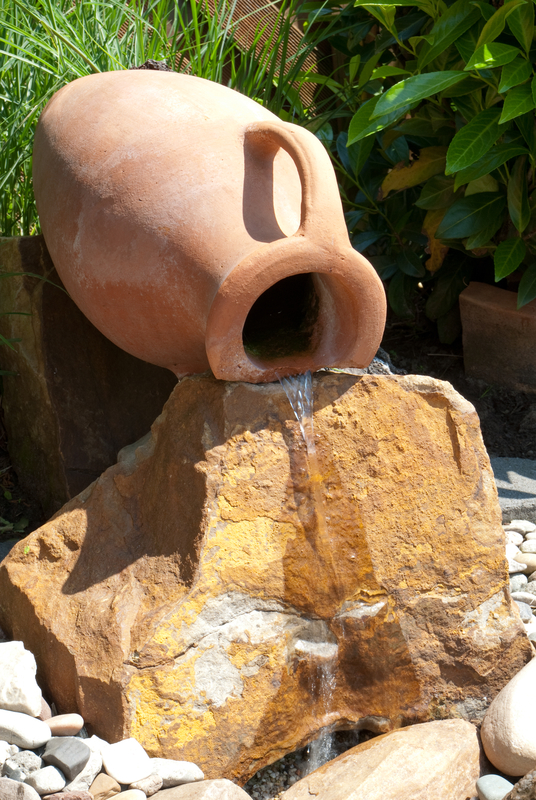 There are various reasons why many people have water features in their garden, some to list are positive health benefits primarily dropping blood pressure and stress levels as well as improving physical and mental health. Today’s world is full of technology sometimes you may need to just escape that, and the soothing sound of a water feature might just do the trick. Cleaning a water feature or fountain is very easy but they will need to be cleaned out regularly to reduce the risk of algae building up, it will also prevent any other blockages. If the pond has stones or gravel in these will also be taken out and cleaned. As this activity is so easy to do many do find it very satisfying and enjoyable also it comes with a very low cost. There are so many different designs of water features that will compliment your garden, there are three styles that are more commonly known these are modern, classic and old English. Modern gardens that are a lot simpler look very nice with Asian inspired water features made from natural substances. For the old English look, a more antique water feature would be suitable. If you only have a patio or balcony but still want to make it decorative and aesthetically pleasing the classic look would be very ideal these are made up of concentric vases, which are very effective in a small space. The most beautiful thing about water features is when the sunlight is shining through the water streams. It gives the impression that you are boding with nature, birds and frogs are more likely to visit your garden. To encourage more wildlife of course you can’t just have a water feature but if you have trees and other plants in your garden this is sure to happen. The initial cost of filling up a pond can be costly but, after this, it does require minimal maintenance after this point. 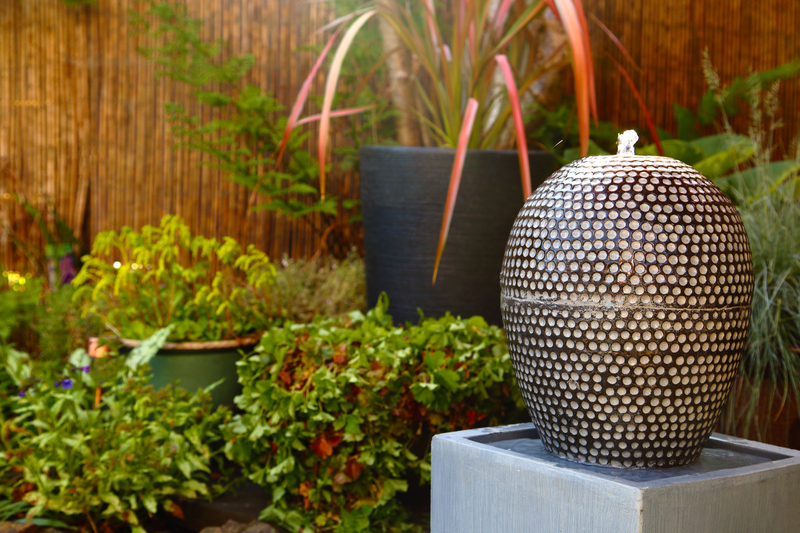 Purchasing a water feature is even cheaper as it only needs a little bit of water to keep going and in the winter months, they are very convenient as they can be emptied and stored safely during the colder times to ensure the water doesn’t freeze the pipework of the feature. Imagine on a hot summer’s day, having the running water to cool the garden down and make it a pleasant place to enjoy with the family. It also enables you to have aquatic and semi-aquatic plants growing in the garden. But remember in order to have this cooling delightful effect, the water used in fountains and ponds needs to be crystal clear and fresh, so the maintenance process applies here also. The reflective properties of water mean it can make some spaces look a lot bigger. For maximum reflection, you should use dark material or dark marble for the water feature. If you really want to make the most of your new feature you can add underwater lighting for the night time. To make sure that the cost isn’t going to be too high you can also use eco lights that charge from the sunlight during the day. A fountain can create a peaceful sound which can be ideal if you live in a noisy neighbourhood or city as this can be a great way to sit back and relax. ← What is Tree Surgery?